Hello readers! After our back-to-back weekends of Expanded Regionals, we find ourselves at a crossroads. Looking back, we can observe the results of Toronto and Greensboro and reflect on the Expanded format as a whole. For the first time in a while, most of the opinions I’ve heard about Expanded since Team Up‘s release have been positive. Though it’s still one of the best cards in the format, Zoroark-GX‘s power has been tempered, and the most “unfair” or oppressive strategies are mostly gone due to the banlist updates. That seems to be enough for people to enjoy the format! Looking ahead, we can try to use these results to prepare for the next Expanded tournaments. And of course, in a different direction altogether, we can look at the Standard format. All over the world, it seems like it’s mostly the same decks doing well at Regionals and Special Events in that format. If you’ve been immersed in Expanded recently, it’s time to look at what the rest of the world’s been up to! Europeans like me will be attending a Special Event in Bolzano, Italy, this weekend, and later, players from all over the world will clash in the European International Championship in Berlin in April. Between these two dates, there will be Standard events on every continent, so wherever you’re from, you should be able to benefit from this article. Last week, I made some predictions about Greensboro Regionals. To summarize, I expected Pikachu and Zekrom-GX and Zoroark-GX / Garbodor to have strong finishes (on a French discussion board, I even predicted that those two decks would make up five-eighths of the Top 8, and that one of them would win the tournament), while Night March and Trevenant would drop in meta share. 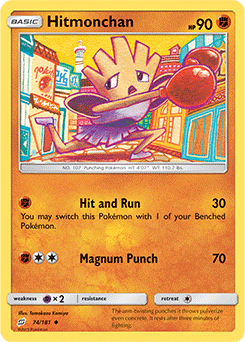 I also expected Hitmonchan / Wobbuffet to be a good pick again. How did my expectations match up with reality? Pikachu & Zekrom-GX did indeed perform very well. Eight players made Day 2 with the deck, and two of them reached Top 8. Pikachu & Zekrom-GX’s success in Greensboro, compared to its disappointing performance in Toronto, shows that it’s still a powerful deck in Expanded, and that it likely only struggled in Toronto because it was the most targeted deck in the room. Interestingly, there’s absolutely no consensus about how to best build the deck. Some players in Greensboro added Jolteon-GX counter the dreaded Pyroar, while others went for a faster build and even dropped Silent Lab from their lists, abandoning the possibility of a double KO with Tag Bolt GX if they hit an opponent playing Mr. Mime. Both approaches performed roughly equally well. We also saw diversity in techs: Sudowoodo, Oricorio, Jolteon-EX, Xurkitree-GX Mr. Mime, Field Blower And although most of the Day 2 Pikachu & Zekrom-GX players opted for Computer Search as their Ace Spec, two of them went with Scramble Switch instead. Speaking of Zoroark-GX / Garbodor, five players made Day 2 with the deck in Greensboro, and two reached Top 8. I actually expected better numbers from one of the safest and strongest decks in the format, but it’s worth mentioning that all five decks in Day 2 ended up in Top 16. This means that the deck had good matchups against the field on Day 2, which is always a desirable trait.